So recently I was able to get my hands on this little beauty 2-pack of nerd-filled awesomeness! So, overall, I shied away from getting this piece for months. 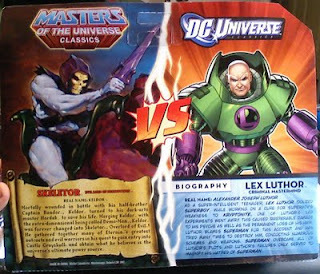 I knew that I wanted the Battle Armor Lex Luthor, and I was gunning for the Lex Luthor vs. Supergirl 2-pack. I will have to say, the one reason for this purchase was for Skeletor. I am in possession of Panthor from the Masters of the Universe Classics line and knew that this was going to be the only affordable way for me to get a Skeletor to put on the awesome cat. At first glance I was not very happy with the look of Ole' Bone Face in this pack. His face paint is just so bland and plain. 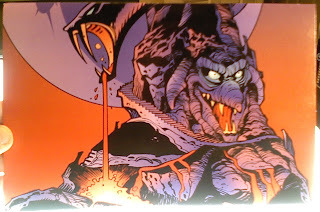 Considering that the original release of Skeletor has tons of color fading and a whole palette of tones, I just wasn't happy with this version. But, the more that I looked at my purchase, the more I have grown to love it. 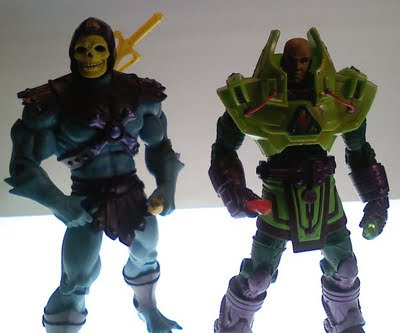 Now if you are to compare him to the original release classics line, most would not be that happy, but here's the thing, he is not supposed to be a new version of the original, this Skeletor mimics the comic. He has the same articulation and pieces as the original release, but is missing his Havoc Staff. 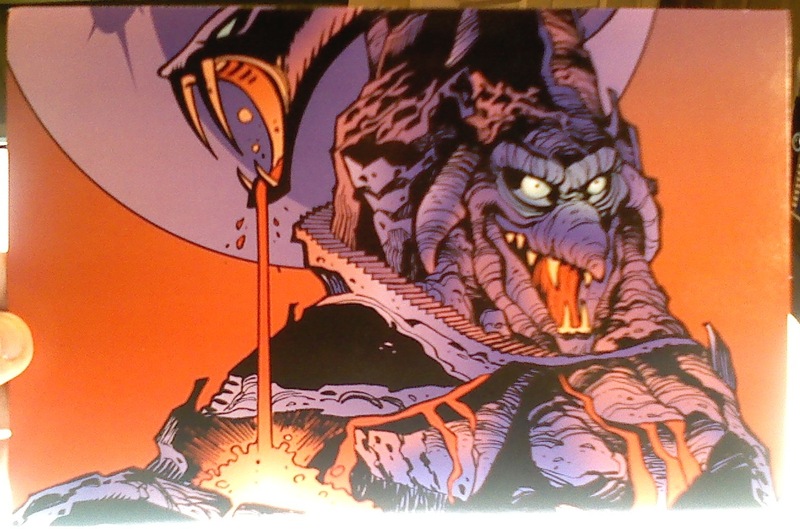 The sword that he carries with him is a prop from the comic book that he comes with. He does have removable chest armor and a removable head. His armor is not as multi-toned as the original release, but as I said before, this is not meant to be that. I do like the simplicity of this action figure and I am absolutely in love with what Mattel has dome with articulation on the Masters Classics line. I would say that this toy would be good for kids as well. It is a little more accessible than the Mattycollector versions, being sold at Toy's R Us and not once a month online. I would say that this Skeletor is well worth the half of the costs of this 2-pack (I'll get to costs later). Now the other half. Alright, now Lex Luthor. 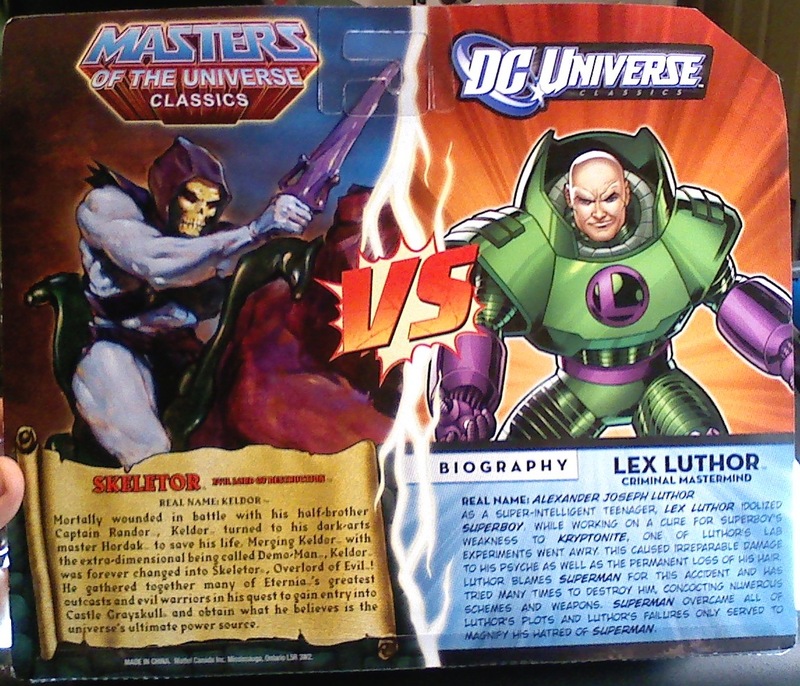 Now, as I had said earlier in this review, I was initially after this version of Lex Luthor. I have to be honest here, I am glad that I waited and got this set of Lex and Bones verses the set with this Lex and Supergirl. I'm not as impressed as I thought I would be with this action figurine. This version of Lex is from the Super Powers line from the 80's now modern-ed up and gussied with new sculpt and articulation. He is a nice addition to my DC Classics lineup of toys and looks great next to Superman. So what's the problem? There's a couple of things that could have been done better. 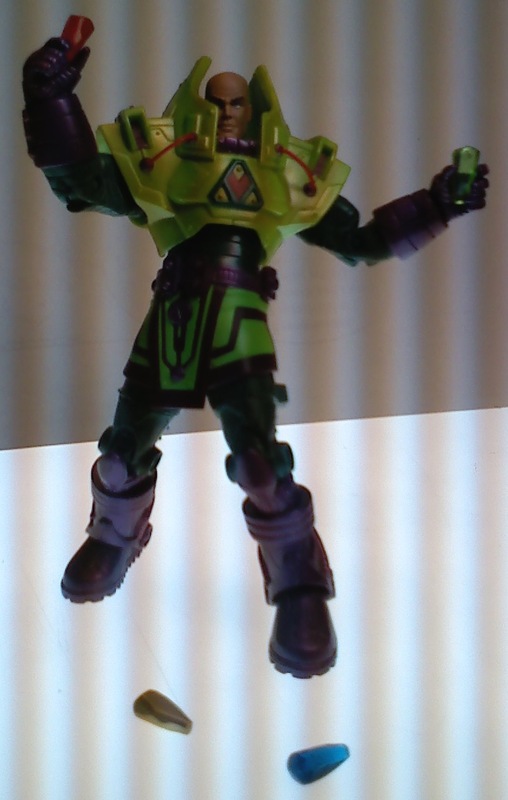 First off, the articulation in his legs are great, but his skirt holds back on the hip/leg articulation. I think that this could have been solved with a molded slit on each side of the skirt. It would definitely help with how well his upper legs move. The second problem is his head and where it is. I love, love the look of this armor. I do, I really, really do...but getting to Lex Luthor's head for posing, is a bit of a nightmare. His armor does get in the way. Lucky for us, the back of his armor is opened as well as the front. This does help a bit. He also comes with 4 power stones. Now Lex is not in the comic book. So he's a bit of a stretch for why he's here. Overall, for collectors, this is a nice piece to leave in package. The printing work and design that went into this 2-pack is nice. The comic is hidden away in an art sleeve that looks like the card portion of the package, so it does not stand out; it blends very nicely. I do like the bio's on the back of the package as well. I got my 2-pack for 3$30.00. 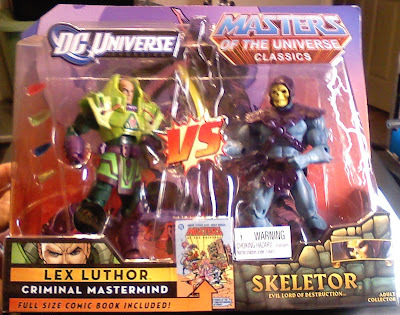 Normally the DC Classics line is about $17.00 and the MOTU Classics is about $20.00 (if you get it the day it releases on mattycollector). So, overall, you get two cool toys and you get to save about $7.00. So, in my opinion, I give this set 3.5 stars out of 5.